Not only did my friends load me down with chocolate and notes, the mom also sent me back some yardage! We had talked on the phone and she asked me what I wanted. I told her really "anything" - just cotton, if at all possible. If not all cotton, then a cotton blend. So, I was curious when my husband got back what it would look like! My husband warned me on the way home from the airport that it was, "Umm, very bright, almost....." "Garish? ", I suggested. "Well, sort of...."
So I was somewhat prepared for this fabric. It's bright. It's loud. It's well...some would call it "garish". I don't want to say it's that. My friend bought me 5 meters of each of 4 of these fabrics. Now to figure out what to do with them! My favorite? The second from the left - the bright red/brown fabric! It should be interesting to try to figure out a way to use it! Here it is - on the right. I was sure that that group picture wouldn't satisfy you. What would you do with it if someone gave this to you? I already wrote my friend a thank you note on What's App. I am not sending notes and chocolate and candy and such. It stops with me! My husband said in these cultures that is how it is - you are given a gift--you are supposed to give one in return something that similar in value. My friend got me the fabric just because she knew I would love something that represented the culture where she is now and not necessarily because I made her daughters quilts (at least I hope not)! Anyway...there you go. That's what's up from part of the world - at least with regards to my sewing room! Be sure to check out what my sis has for you over in the store! She's adding new things daily! Very nice fabric. Perfect for backing any of your quilt projects, or to use as yardage! Price is by the Yard. Colors may vary slightly from what is portrayed. The design looks like branches in a packed woods. Colors Branches are lighter than the background as shown in the picture. Makes a great backing fabric because it "hides" any inconsistencies in your quilting. Beautiful fabric that gives an illusion of florals, with a batiky appeal. It's still regular fabric, NOT a batik, but looks like one. Will make a beautiful blender. Will make a beautiful backing. Beautiful floral blender. 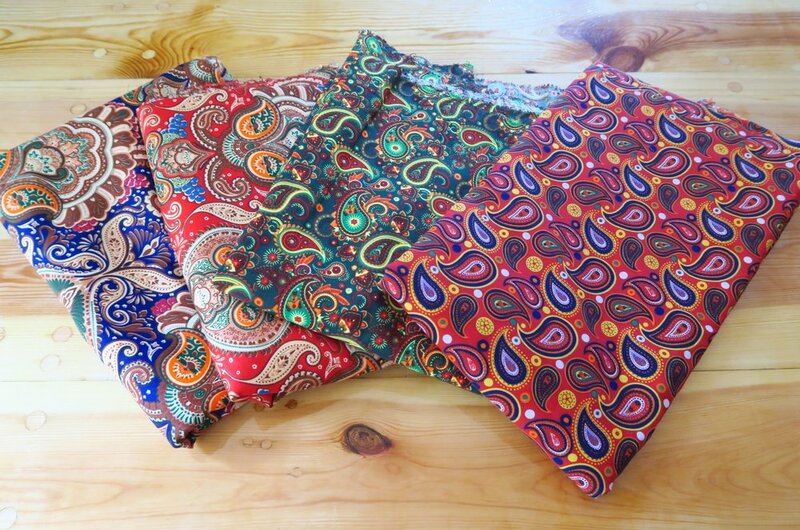 Looks like a batik, but it is NOT. It is a regular quilting fabric. Thank you notes and gifts!